Venezuelan President Hugo Chavez and Iranian President Ahmadinejad stun the world by announcing their marriage, the first of its kind in either Iran or Venezuela. 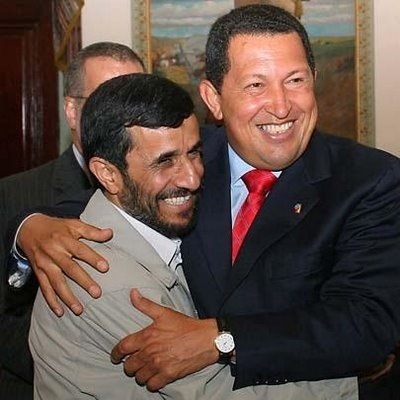 The happy couple eloped yesterday soon after Chavez arrived in the Islamic Republic for his 11th visit, surprising even his own security detail. Most thought the two leaders were plotting the overthrow of the West, when in fact they were exchanging vows amongst a few very close friends.